To give to postwar fliers a plane that will embody the benefit of the engineering and design experience and skill that produced the P-47 Thunderbolt, Republic Aviation Corporation, of Farmingdale, L.I., plans production of a land and water plane for civilian use. 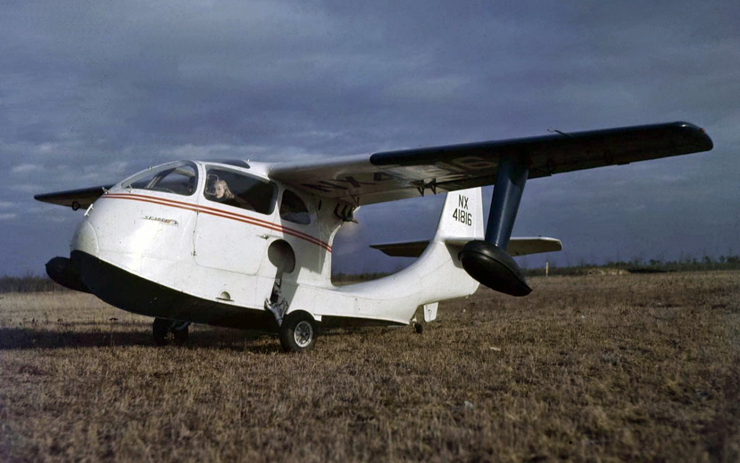 This plane, development of which has just been revealed by Republic, gives such promise of performance that both Army and Navy are reported interested in its possibilities for sea rescue work. 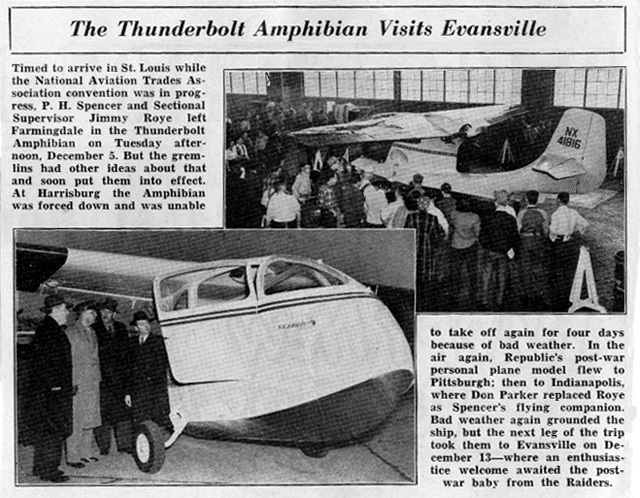 Still in development stage, the new plane is tentatively called the “Thunderbolt Amphibian.” Although plans for this postwar plane have been closely guarded, continued secrecy has become impossible because flights of the first experimental model have become a familiar sight on both land and water in and about Long Island. 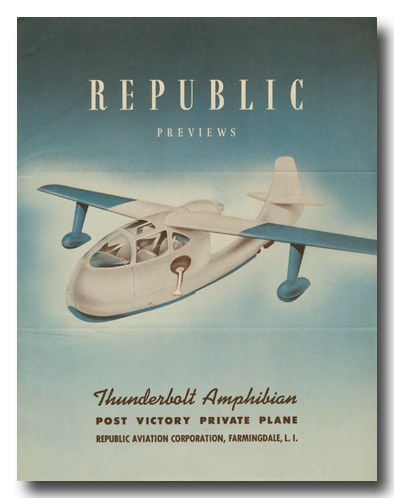 In its present stage of development Republic’s amphibian is a high wing monoplane of all metal construction except that movable control surfaces are fabric covered. A big comfortable cabin offers accommodations for four passengers. Interior details and fittings suggest the latest in automobile design. The upper half of the cabin is largely of plexiglass affording great visibility. The accompanying pictures show the full cantilever wing with single strut-supported wing floats, scientifically designed hull or float that permits easy landing or take off from water requiring only 17 inches of draft fully loaded. Wheels are retractable. Vacuum operated slotted flaps insure safe landings at approximately 50 miles per hour. 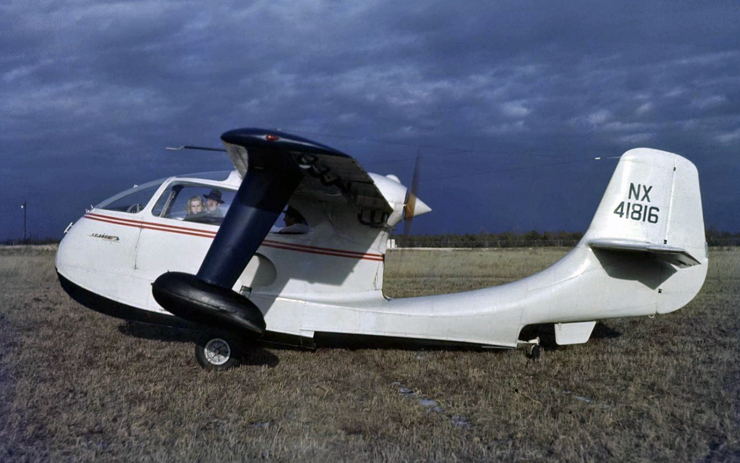 The Thunderbolt Amphibian is powered by a single, six cylinder horizontally opposed, 175 h.p. engine. 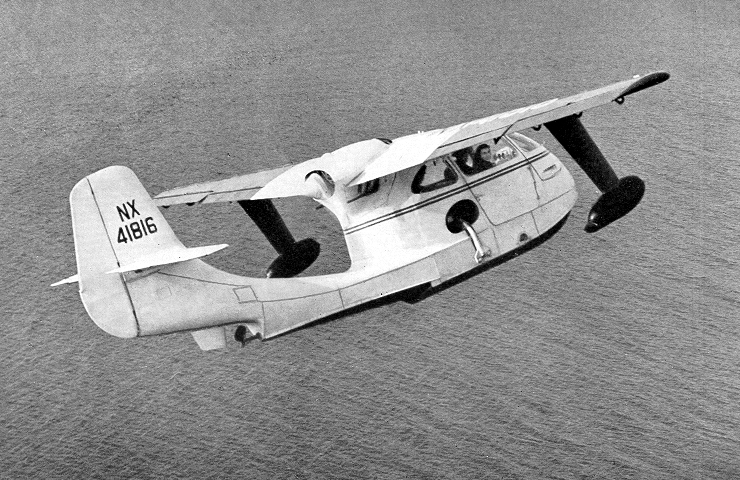 The location of the engine and propeller in back of the cabin is an outstanding feature insuring greater safety in landing and docking also giving protection to the power plant from water spray, and grater passenger comfort because of reduced noise and the better forward vision permitted. The clipper type tail gives strength and fine aerodynamic design. 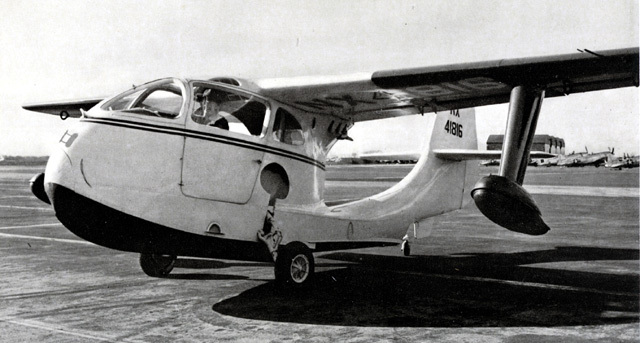 Republic’s amphibian stems from a long line of successful land and water ships designed and built over the past twenty years by P. H. Spencer credited with having more experience with single engine amphibians than any other pilot. 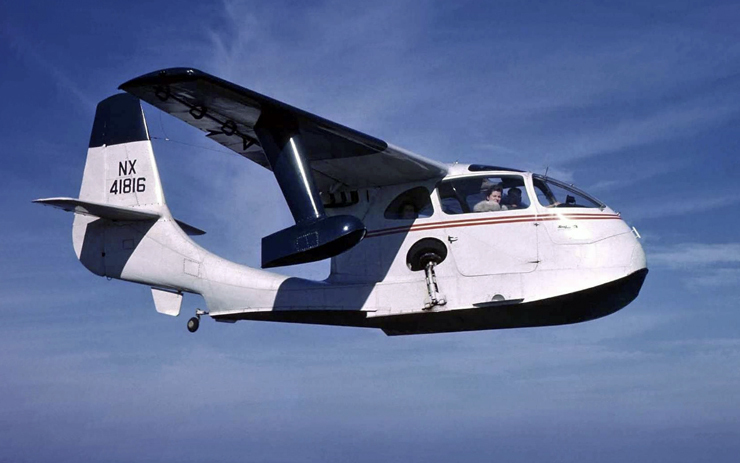 From Spencer’s prototype, Republic engineers are evolving a plane for all-around personal, family or business use that has long been wanted by sportsmen for hunting and fishing use and by all types of private fliers who like the additional safety and flexibility of both land and water operation. 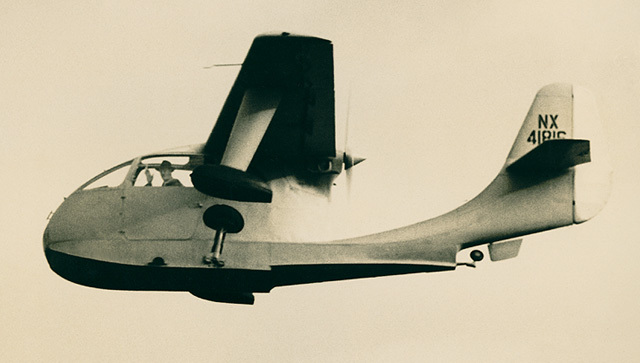 When the press release was published the prototype RC-1 Thunderbolt Amphibian had already made her first flight, only a few days before - on November 30, 1944. Spence waves to the photographer! 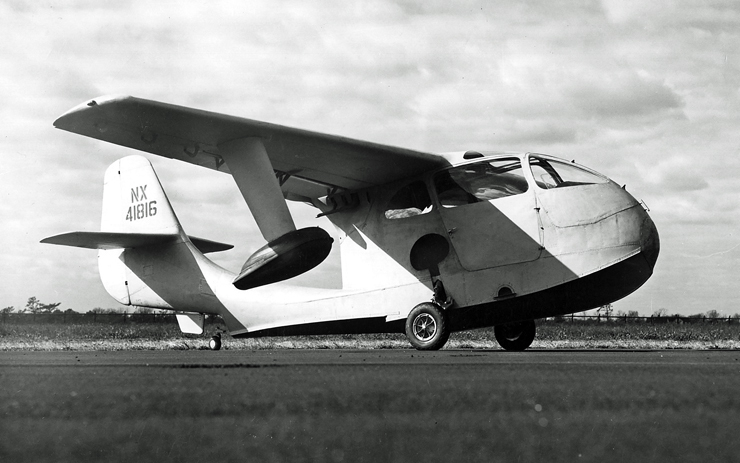 The prototype had secretly been under development since January 1944, after Republic in December 1943 acquired the design concept from Mr. Percival H. "Spence" Spencer, one of their manufacturing test pilots, who just before WW2 had developed an amphibian he called Air Car. 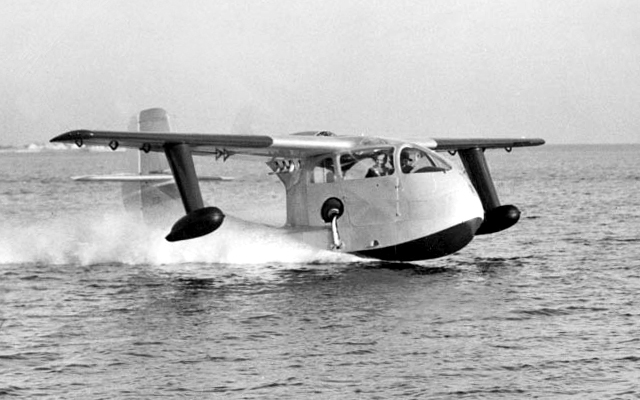 Spence became a design consultant for the new Republic amphibian and he also made the first flight of the prototype, registered NX41816. After the first flight, it would no longer be possible for Republic to keep their new aircraft secret anymore. However, it would be no surprise that many military aircraft manufacturers by now already were planning for the post-WW2 civil market, because the outcome of the war was quite clear. 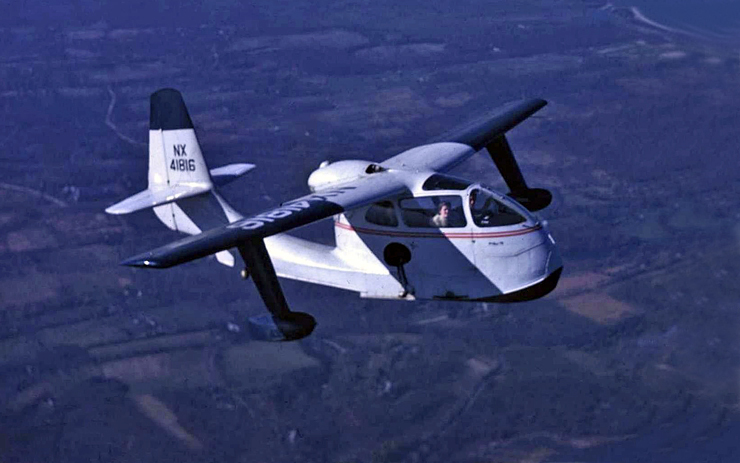 The construction of the RC-1 Thunderbolt Amphibian was by conventional manufacturing methods. Photo: © Please tell me!